Arizona Diamondbacks fans showered Prince Fielder with boos throughout the 2011 Home Run Derby. Why? Because Fielder, the National League team captain, failed to select Dbacks outfielder Justin Upton to participate. But one night later, with the NL trailing 1-0 in the 2011 All-Star Game, Fielder's three-run home run brought fans to their feet in applause. The NL went on to win 5-1 for its second straight victory and seized home-field advantage in the 2011 World Series. Fielder, the 2009 Home Run Derby champion, was named the 2011 All-Star Game MVP to become just the sixth player to win both awards. The Yankees Robinson Cano won this year's Home Run Derby. 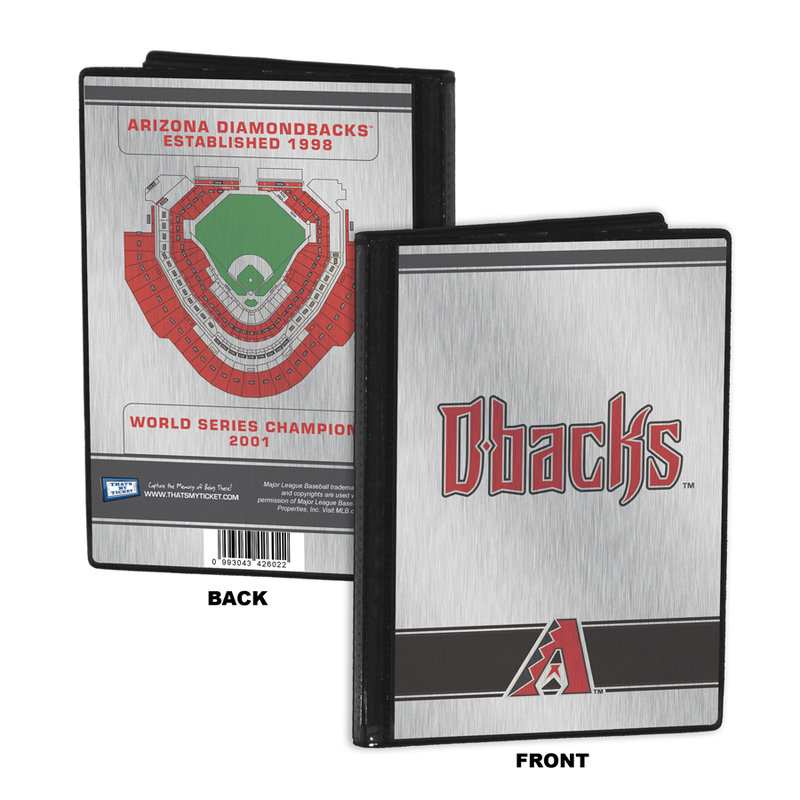 Capture the memory of the 2011 All-Star Game with our 8x10 Photo Ticket and Strip Frame. See below for details. Two-inch logo displayed in unique circle cut out. 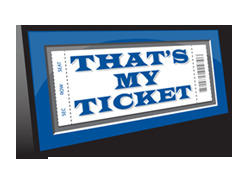 Placeholder for your 3 event ticket strip that utilizes professional-grade mounting corners to preserve the condition and value of your tickets. Your tickets are the one item you can point to and say "I was there. That's My Ticket." Includes easy-to-follow instructions for adding your ticket strip and photo. As an option you can send us your ticket strip and photo and we will put them in free of charge and then ship your Ticket Frame ready to hang. Double matted in 2011 All-Star Game colors (Black on Red) using white-core mat board and a high-grade metal frame for a board room-quality presentation. Overall size 18 (W) x 22 (H). This is a custom-made product and may only be returned due to manufacturer error. Arizona Diamondbacks fans showered Prince Fielder with boos throughout the 2011 Home Run Derby. Why? Because Fielder, the National League team captain, failed to select Dbacks outfielder Justin Upton to participate. But one night later, with the NL trailing 1-0 in the 2011 All-Star Game, Fielder's three-run home run brought fans to their feet in applause. The NL went on to win 5-1 for its second straight victory and seized home-field advantage in the 2011 World Series. Fielder, the 2009 Home Run Derby champion, was named the 2011 All-Star Game MVP to become just the sixth player to win both awards. The Yankees Robinson Cano won this year's Home Run Derby. 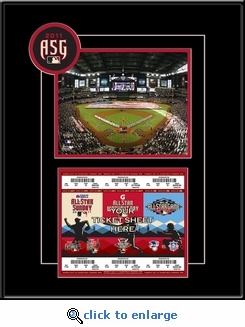 Capture the memory of the 2011 All-Star Game with our 8x10 Photo Ticket and Strip Frame. See below for details.